Halftone screen patterns are a key ingredient of retro design, but it can be difficult to find or create realistic screentone style resources. Photoshop and Illustrator can produce halftone effects, but the result is a series of perfectly formed circles which don’t look very antique at all and fail to capture that grungy rock poster vibe. 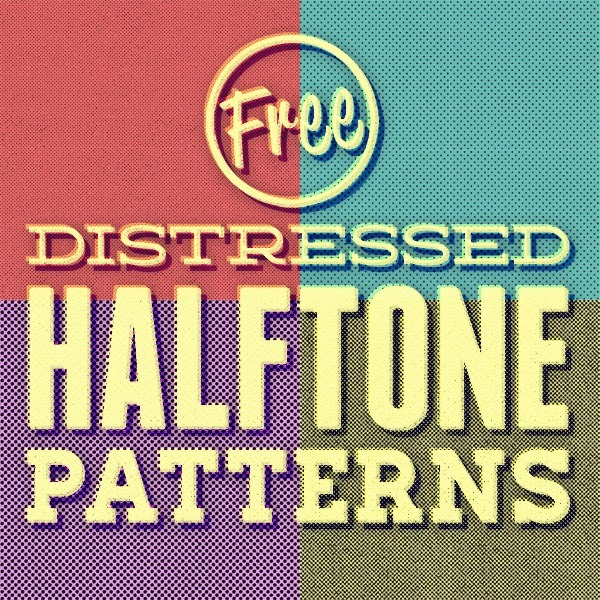 I’ve manually created a collection of distressed halftone patterns by hand to achieve that authentic printed appearance. There’s 12 patterns in total, each varying in dot size and density to provide a range of texturing resources.